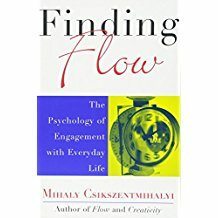 Part psychological study, part self-help book, Finding Flow is a prescriptive guide that helps us reclaim ownership of our lives. 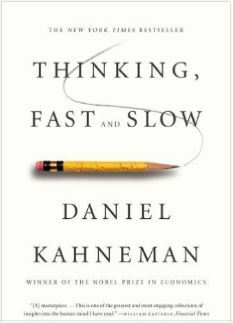 The author argues that the quality of our lives is determined not so much what we experience but by how we experience it. 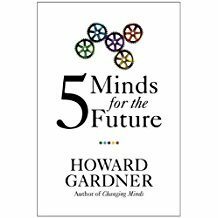 Gardner has put together a thought-provoking, visionary attempt to delineate the kinds of mental abilities (“minds”) that will be critical to success in a 21st-century landscape of accelerating change and information overload. 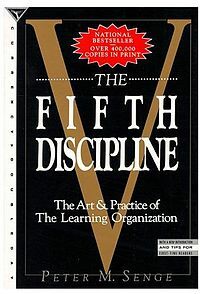 Gardner’s five minds – disciplined, synthesizing, creating, respectful and ethical – are not personality types, but ways of thinking available to anyone who invests the time and effort to cultivate them: “how we should use our minds.” In presenting his “values enterprise,” Gardner uses a variety of explanatory models, from developmental psychology to group dynamics, demonstrating their utility not just for individual development, but for tangible success in a full range of human endeavors, including education, business, science, art, politics and engineering. What business entrepreneurs are to the economy, social entrepreneurs are to social change. They are, writes David Bornstein, the driven, creative individuals who question the status quo, exploit new opportunities, refuse to give up–and remake the world for the better. How to Change the World tells the fascinating stories of these remarkable individuals – many in the United States, others in countries from Brazil to Hungary – providing an In Search of Excellence for the nonprofit sector. These extraordinary stories highlight a massive transformation that is going largely unreported by the media: Around the world, the fastest-growing segment of society is the nonprofit sector, as millions of ordinary people – social entrepreneurs – are increasingly stepping in to solve the problems where governments and bureaucracies have failed. 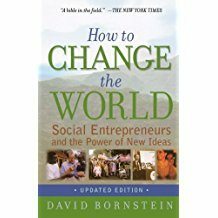 How to Change the World shows, as its title suggests, that with determination and innovation, even a single person can make a surprising difference. The secret to success, master networker Keith Ferrazzi claims, is in reaching out to other people. As Ferrazzi discovered early in life, what distinguishes highly successful people from everyone else is the way they use the power of relationships – so that everyone wins. 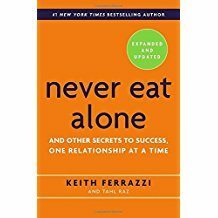 In Never Eat Alone, Ferrazzi lays out the specific steps – and inner mindset – he uses to reach out to connect with the thousands of colleagues, friends, and associates in his network, people he has helped and who have helped him. 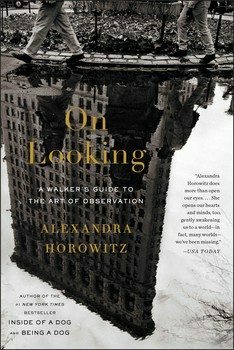 Alexandra Horowitz’s brilliant On Looking: Eleven Walks with Expert Eyes shows us how to see the spectacle of the ordinary—to practice, as Sir Arthur Conan Doyle put it, “the observation of trifles.” On Looking is structured around a series of eleven walks the author takes, mostly in her Manhattan neighborhood, with experts on a diverse range of subjects, including an urban sociologist, the well-known artist Maira Kalman, a geologist, a physician, and a sound designer. She also walks with a child and a dog to see the world as they perceive it. What they see, how they see it, and why most of us do not see the same things reveal the startling power of human attention and the cognitive aspects of what it means to be an expert observer. As the million-plus readers of Inside of a Dog have discovered, Alexandra Horowitz is charmingly adept at explaining the mysteries of human perception. Trained as a cognitive scientist, she discovers a feast of fascinating detail, all explained with her generous humor and self-deprecating tone. On Looking presents the same engaging combination, this time in service to understanding how human beings encounter their daily worlds and each other. Page by page, Horowitz shows how much more there is to see—if only we would really look. On Looking is nutrition for the considered life, serving as a provocative response to our relentlessly virtual consciousness. So turn off the phone and other electronic devices and be in the real world—where strangers communicate by geometry as they walk toward one another, where sounds reveal shadows, where posture can display humility, and the underside of a leaf unveils a Lilliputian universe—where, indeed, there are worlds within worlds within worlds. In his 1972 classic, The Hidden Injuries of Class written with Jonathan Cobb, Richard Sennett interviewed a man he called Enrico, a hardworking janitor whose life was structured by a union pay schedule and given meaning by his sacrifices for the future. 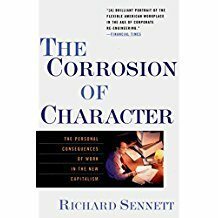 In this new book – which is a #1 bestseller in Germany – Sennett explores the contemporary scene characterized by Enrico’s son, Rico, whose life is more materially successful yet whose work lacks long-term commitments or loyalties. Instead of focusing on what exceptional leaders do, we need to understand and emulate how they think. Successful business people engage in what Martin calls integrative thinking creatively resolving the tension in opposing models by forming entirely new and superior ones. Drawing on stories of leaders as diverse as AG Lafley of Procter & Gamble, Meg Whitman of eBay, Victoria Hale of the Institute for One World Health, and Nandan Nilekani of Infosys, Martin shows how integrative thinkers are relentlessly diagnosing and synthesizing by asking probing questions including: What are the causal relationships at work here? and What are the implied trade-offs? Martin also presents a model for strengthening your integrative thinking skills by drawing on different kinds of knowledge including conceptual and experiential knowledge. 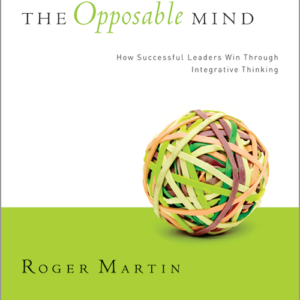 Integrative thinking can be learned, and The Opposable Mind helps you master this vital skill.